OK, here is drawing two which was done on Friday, 21st January 2011. The drawing took 20 minutes. I had heard someone say Kenoath that day and was chuckling to myself how some friends of mine used to shorten down the saying to just Ken! (for those who don’t know what Kenoath means, it is aussie slang for f**king Oath which in turn is in itself aussie slang I suppose). Anyway, I got down to drawing! I started off with the word kenoath, just playing around the size, style etc and thought it was a little plain by itself. So I added in a crude map of Australia, reversed the text out of it and thought, yeah… looks cool but it’s not really saying anything to me. 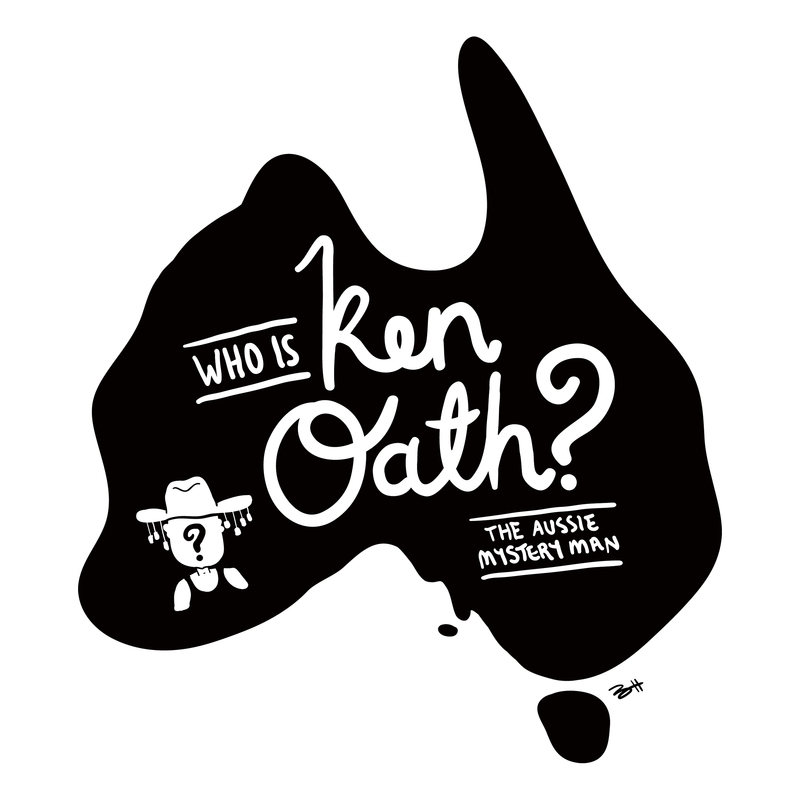 I pondered on this for a few minutes and asked myself what would I think Kenoath means if I was not from Australia and had never heard the term… would I think I was a person, this Ken Oath fellow? So I went with that thought and started drawing in the Aussie Mystery Man. Now, the mystery man bit got me thinking again of another mystery man that had his name used without people really knowing what the term meant… WHO IS JOHN GALT from Ayn Rand’s huge tome, Atlas Shrugged. With that in mind I added in the WHO IS, drew a quick silhouette of an Aussie looking outback man and there you have it!